One hundred years… ten decades… a century… no matter what term you use it is a significant amount of time. It is even more significant when it marks a milestone in the history of a company. In today’s world of “.coms” and start-ups that fail within a year, a business that has continued to grow for a century plus is a testament to quality, dedication, and integrity. While these words are often overused, they are the words that American success stories are built on… the words that define Abell International. Abell Elevator International provides installation, maintenance, modernization, and repair of complete elevator systems, private residence elevator systems and accessibility systems. In 1996, at the annual conference of the National Association of Elevator Contractors, several independent elevator contractors met to address common industry issues. These independent contractors formed a group known as Independent Elevator Contractors Alliance or “IECA” in order to have control over and to develop their own line of comprehensively designed systems. No longer held captive by the major elevator companies, IECA was able to offer tremendous benefits to Independent Contractors. This group endeavor by several independent elevator contractors resulted in unmatched field efficiencies and innovations. Each system is reviewed and stamped by a professional engineer to meet or exceed all American Society of Mechanical Engineers A17.1 latest code requirements and carry all UL and CSA labeling as required. As non-proprietary systems, they provided the owner with the best pricing possible from any maintenance provider. 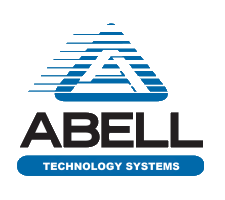 As part of the drive to develop a complete lift system for the Independent Elevator Contractor Abell Technology Systems, previously Advanced Technology Systems, became a member of the Abell Elevator International family in October of 2008. Started originally as Vertisys in 1988 in Boca Raton Florida by a previous Otis design engineer it developed door operators and vandal proof track and hangers. In 2000 Atlantic Tech Systems LLC bought the assets of Vertisys and relocated the company to Boynton Beach, FL. They then developed a state of the commercial door operator known as the “Field Eze”. The operator has been applied in over a thousand field applications from single speed, to three speed center opening. It is equipped with on board diagnostics, an integral header, integral vane and door zone lock along, with vandal resistant track, incorporating a 6940 style interlock. The ease of installation with its integral header work,s well with any New Installation and/or Modernization. In July of 2007 the AVT/Beckett became a part of the Abell family bringing the reliable and field friendly “Beckett Entrance” to the Abell family. This again gave Abell Lift Systems the ability of closing the loop on the entire “Elevator System” for the Independent Elevator Contractor. Abell Construction Hoist, LLC brings you the nation’s newest fleet of PEGA Hoists, the most advanced, productive and competitively priced hoists available. A technology leader, Abell Construction Hoist tailors hoist specifications to your project eliminating guesswork and increasing productivity. Abell Construction Hoist provides rental as well as complete erection, dismantling, and technical services.